Kids love popcorn fundraisers. They’re great moneymakers because the customers enjoy the wide range of choices and great flavors. The Goodies Factory makes a variety of flavors, whether it’s savory treats like Jalapeño or White Cheddar, crunchy flavors like Buttery Caramel and Chicago Style, or sweet dessert flavors like Cookies and Cream and Peanut Butter Chocolate. There’s something for everyone! 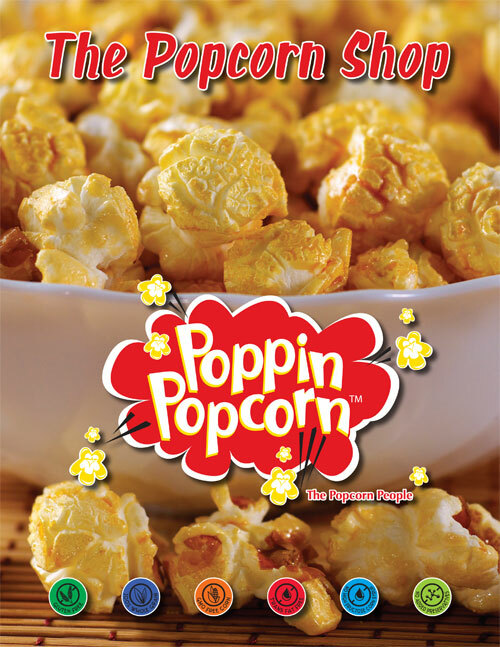 Parents interested in healthier snacks will love the fact that your fundraiser popcorn pops in a heart-healthy air popper versus an unhealthy oil popper. This brochure includes gallon & half-gallon bags of the following popcorn flavors: Buttery Caramel, Cheesy Cheddar, Three Cheese, Cheddar Jalapeño, Chicago Style, White Cheddar, Cheddar & Sour Cream, Kettle Corn, Fruit Rainbow, Movie Theater Butter, Cinnamon Toast, Cookies & Cream, Chocolate Delight, and Nutty Caramel.